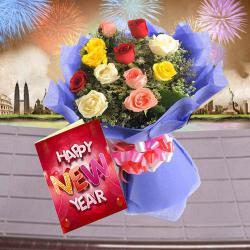 Product Consists : Bouquet of 12 Mix Roses with some green fillers in a cellephone wrapping with a matching bow, 16 Pcs Ferrero Rocher Chocolate Box along with New Year Greeting Card. 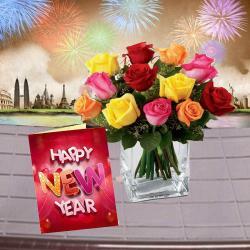 Celebrate this coming New Year with lots of love and happiness with your loved ones. 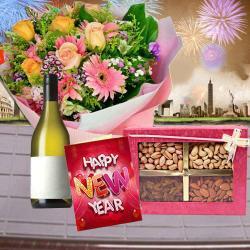 We have this fabulous gift hamper exquisitely designed to make your loved ones feel special. 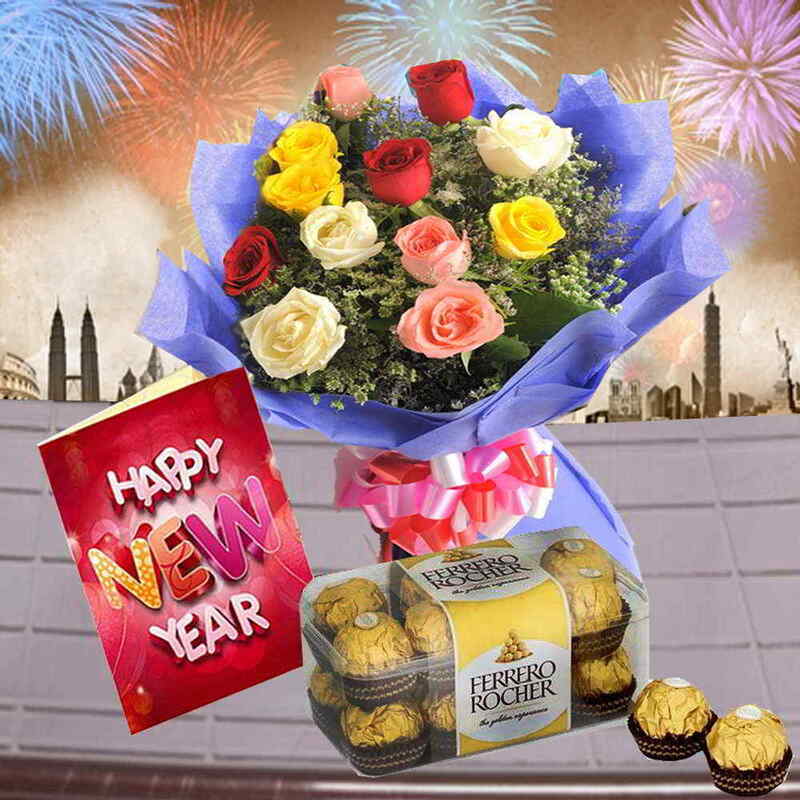 It comprises of a bunch of 12 mesmerizing roses in mixed colors like red, pink, yellow and white, a 16 pieces of yummy Ferrero Rochers and an elegant New Year greeting card. Treat your loved ones to this brilliant gift combo and show them how special they are for you. 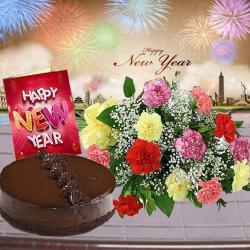 Product Consists : Bouquet of 12 Mix Roses with some green fillers in a cellephone wrapping with a matching bow, 16 Pcs Ferrero Rocher Chocolate Box along with New Year Greeting Card.